Twenty-seven poets from around the world share their vision of the feminine spirit, inspired by the paintings of Stephen Linsteadt. Editor, Maria Elena B. Mahler, collected twenty-seven poems from twenty-seven accomplished, published, and award winning poets from different parts of the world. She invited them to write a poem based on one of Stephen Linsteadt's paintings; paintings he created over the last thirty-five years. "When Stephen Linsteadt embarked on his metaphoric journey, he was striving toward a deeper sense of conception. If art implies a desire for the sacred it is, as Eckhart Tolle suggests, a portal or an access point which ultimately leads you to yourself. It is this portal that bids we enter, freely and without agenda. 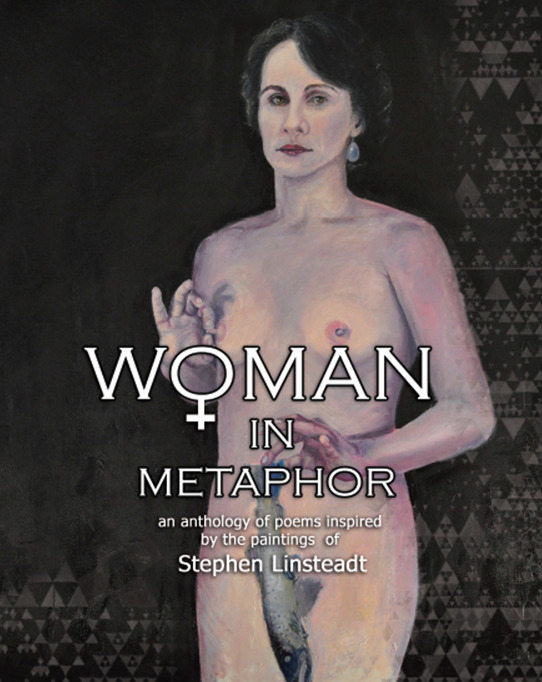 Each of the twenty-seven writers in Woman in Metaphor, all of various ages and beliefs – practiced poets or sensitive observer, transversed this threshold, returning with their own compelling visions."